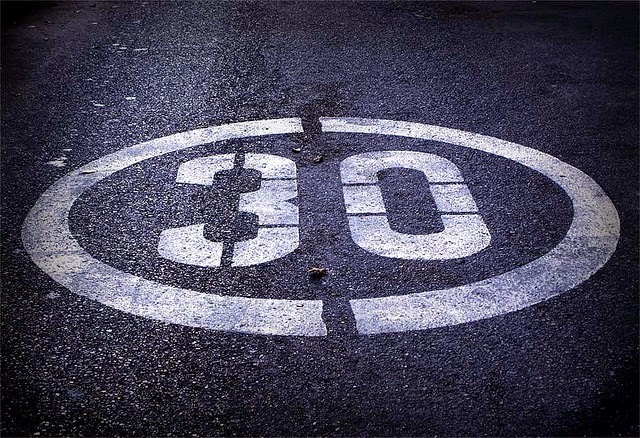 don't get caught: 30 blog posts I want to see from you. No, really: You. 30 blog posts I want to see from you. No, really: You. I don't care what your line of business, organization or employment status is. Nor your topic. I still have 30 blog posts I'd like to see you write. Yes, you. No, really: You. If you think I'm writing this post for you, well, I am. And if you think I'm writing it for someone else, you're wrong. I'm being kind. The list was going to be 100 posts. But 30 posts can do a lot. That's three weeks' worth of post three times per week, or 30 weeks' worth of one post already done, if you sit down and write them all right now and stack them up in your queue. It will make the rest of the year easier with these posts in your back pocket, so to speak. How you got started--you, in your career, even if it's not what you do now. Maybe especially, if that's true. How you got started--you, the organization or company, your department, the project you lead right now. Only you can tell your founding story. Your best day's work so far, and what it was like. Walk us through it hour-by-hour or look back with wisdom. Doesn't have to be yesterday--better if not. What you're reading now and why. It doesn't have to be business stuff. Maybe especially not. Also need not be in book form. What you're listening to, if you're a podcast/audiobook/radio/music kind of person. Need not be business related stuff. Five videos you love that you think I should see and why. Embed them. Describe them. What you re-read from time to time and why. What you refuse to read, and the principles behind that. Your favorite mistake...that you've made. What you learned from it. The most stupid advice you've ever gotten, and why it didn't work for you. The smartest advice you've gotten, and why it did work. Advice you used to give, and why you'd change it today. Advice for the junior person in your field, crowdsourced by you from your network. No lecturing by you alone. Advice for the senior person in your field, ditto. Someone you've met (Twitter doesn't count for this) who has inspired you, and how that takes shape in your work. Someone you haven't met who has inspired you, and how that takes shape in your work. An experience meeting someone in real life whom you met online first, and what that was like. What kinds of conferences or training you attend, and whether they're worth it. We just don't share enough of this information and it's part of your expertise. Your list of go-to, quick content you can draw on at any time, and how you use it. That might mean jokes for speechwriters, inspiration for artists, word prompts for writers, anything. What you pack for a business trip. This must include video of the packing, please, and links to your gadgets and must-haves. It doesn't matter what you do for a living. Who's your dream team? Play the equivalent of fantasy football in your field, but with people you actually know, rather than celebrities. Can you populate a communications office or development crew or programming team for us? And link to their LinkedIn profiles while you're at it? A recurring theme in your work that isn't about your work per se. Something you keep running into again and again, and your thoughts about that. The best example you've found of something, and why that is so. We're all looking for examples and use cases and stories. Redeem something that others scoff at in your field, but you support. Tell us why it's actually useful. Propose killing off something that's a staple in your field. Defend your thinking. Products and services that you use, and find useful. Add some links with free trials or other promos. Gadgets and tech that make your work easier. Tell us why, and how to find them. 3 rules of thumb that guide your work, or a specific type of task. Five blogs or Twitter accounts you follow, and what you get from them, and why you started following them. Has anything changed? Six things you can do in your field without much preparation. How did you learn to do that? That's just scratching the surface. Go, now, and blog. Come back for reinforcement.